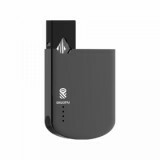 SHUOPAI Revo Pod Starter Kit is a fairly compact matchbox, the bottom of which has a nice rounding. BuyBest has Black and Coral color on sale now. 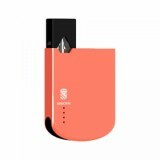 SHUOPAI Revo Pod Starter Kit is a fairly compact matchbox, the bottom of which has a nice rounding. By the way, the developers offer from the start a very decent range to choose from - as many as ten options. And there is a monoton and interesting prints. The main body is rich with a built-in medium capacity battery. There are no fire buttons, hence the conclusion that the device is activated by tightening. But on the front side there is a LED battery level indicator. • The SHUOPAI Revo replacement Pods are also available in BuyBest. The SHUOPAI Revo Pod is great packing, satisfied. 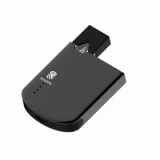 I'm satisfied with this SHUOPAI Revo Pod, small, easy to take. 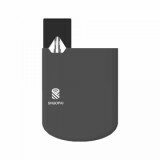 SHUOPAI Revo Pod Starter Kit is a fairly compact matchbox, the bottom of which has a nice rounding. By the way, the developers offer from the start a very decent range to choose from - as many as ten options. The SHUOPAI Revo Pod was just as expected.